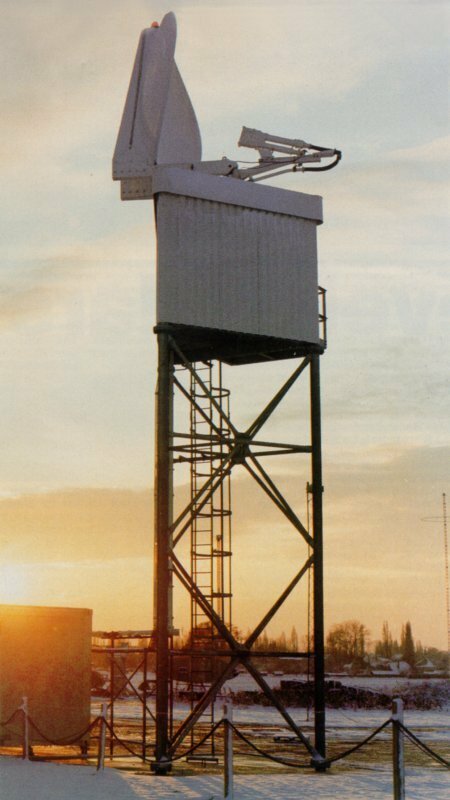 The ATC-Radar Marconi S-511 is a long range version of the Marconi S 500 series of radars and uses a high-power coaxial S-Band magnetron. Frequency diversity using two transmitter/receivers is available. the highly successful ASTRID PPI-display system is also available for low-cost applications. The antenna consists of a 5 m aperture, double cosecant squared, carbon fibre reflector and a double horn system for dual beam operation. Variable polarisation between linear (vertical) and circular is provided on the lower beam, and fixed circular polarisation on the upper beam. In Canadian service, the equipment is known as AN/FPS-509.